The Gutmann bank wants to deploy in the next few years their very successfull customer centric process to the digital channels - with the same quality. We therefore developed with the project team on the basis of a Customer Journey Analysis coarse-grained concepts and user stories. In the next steps we defined a project roadmap and a decision paper for the management. VORWERK strives to offer their customers the highest quality in the Customer Service area. To sustain this ambitious goal, we developed for VORWERK an international service strategie, the "Customer Love Strategy". It comprises of all capabilities to make sure the ominchannel oriented service is of high standards. Drei Hutchinson's goal was to market and sell accessories online in order to strengthen their position on the market. We took charge of the design, the project management and the technical implementation of this new onlineshop. It was then integrated into the operations of Drei (back-office and fulfillment). Standardize the portfolio as well as the CX products for the Sonepar CCC proposition "Understand. Create. Change." Sonepar's subsidairies in Australia and New Zealand - Auslec L/H, Pacific Datacom, Electrical Distributors of WA und Corys - conducted in 2018 customer as well as emplyee surveys. We took ownership of the design, implementation and result analysis to help the local teams to be more customer centric. To that effect not only the identification of painpoints but also the sharpening of the internal communication and the subsequent measures played a role. Surveys were designed for maximum depth, allow to track KPI's over time and benchmark the companies. 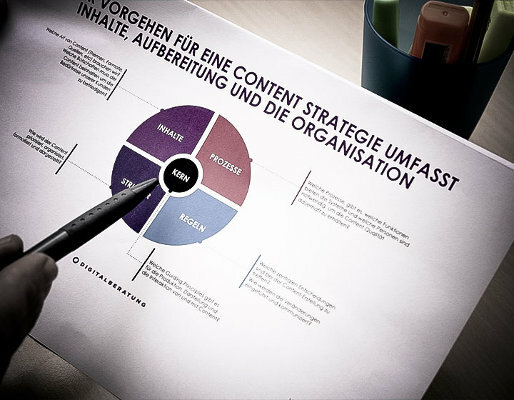 In cooperation with the Carl Hanser publishing team we're redesigning their smart data process with a strong focus on user needs. Mutter Kind Box is a service who provides relevant information and goodies for mothers-to-be and young families in every stage of life. Well-established in Austria, they wanted to get a foothold on the german market and commissioned us with a conversion push campaign to increase their german online registrations. Therefore we implemented a tracking base and launched a best practise facebook campaign as a basis for further growth in their segment. We had the pleasure to be part of the development of Allianz Elementar Versicherungs-AG`s insurance calculator application, delivering interaction concepts and evaluating them with users. Since 2012 we guide SOS Kinderdorf Austria's digital transformation processes in various roles and functions. We identified pain points and delights along the customer journey for Allianz Elementar Versicherungs-AG, and developed appropriate segment specific drivers for optimal customer experiences. Development of a tailored concept for the implementation of customer feedback processes, including technical implementation of our CFM modules. Website content, features, ergonomics, etc. In cooperation with our partner CX Agentur we support win2day in their analysis of current customer experiences. Raiffeisenlandesbank Niederösterreich / Wien had to migrate to a scaleable, stable online research infrastructure. We were responsible for the technical redesign as well as the migration concept as a whole. As part of the launch of the car insurance calculator Allianz Now, we were assigned the development of an analytics/measurement and tracking concept, to enable optimal adjustment of conversion channels with the use of funnel analysis. To build the concept of a new Charles Vögele Online Shop and the launch of first omni-channel features from the ground up, we co-developed a suitable omni-channel strategy with the whole organisation. While Charles Vögele were looking for the perfect candidate for their vacant Head of eCommerce position, we took on this role on an interim basis for 1,5 years. Schweizer Bundesbahnen (SBB) have been analysing their customers' mobility behaviour for years. We've developed the MobiJournal (app) and its integrated diary function to enable passengers to easily and intuitively report how they use transportation. Charles Vögele Switzerland asked us to visualise some of their new customer and advisory processes (i.a. for multi-channel commerce) with how-to videos, and to develop a styleguide for video production. goood is the social mobile service provider in Germany - and we are their partner. 10% of the monthly fee are donated to charity organizations or projects, chosen by the customers themselves. We designed and developed all digital assets for goood - in close cooperation with the goood team and several partners, such as Betterplace. TYROLIT is one of the leading manufacturers of bonded grinding, cut-off, sawing, drilling and dressing tools and a supplier of tool and machine systems for the construction industry. TYROLIT asked us to guide them on their first steps in the B2C sector. With a process analysis at all relevant customer touchpoints, we were able to show processes with optimization potential and new potentials. Observations were made in the customer center, interviews with internal stakeholders were conducted, and vending machines, website and apps were tested. Finally we provided impulses and recommendations for CRM and the "customer center of the future". We've been in a close strategic partnership with Swiss panel provider and market research institute intervista since 2010. We cooperate primarily in the areas customer experience management, panel management, and customer insights & analytics. 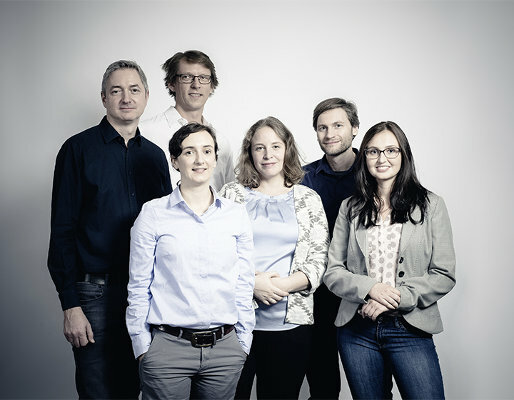 At the end of 2012 SOS Kinderdorf Austria initiated their digital transformation process with the development of their digital strategy and the development of a design concept for their relaunch. The new portal has been online since 2014, and now emphasizes a strong focus on SOS Children's Villages' educational work. The litigation funding company Miete Runter GmbH has commissioned us to optimize their website and conversion performance. As a result of our substantial technical, functional and communicative optimizations, both traffic and conversions strongly improved. The Austrian Latin America Institute had the aim to get more online registrations for their language courses. Using goal-oriented and customized online marketing activities, online bookings tripled during the campaign period. Kubo is the expert for high quality products when it comes to gaskets, springs, and moulded rubber parts. In cooperation with IT service provider edicos we are charged with the development of their digital transformation strategy. We designed and implemented a modular customer experience analysis to further harmonise and optimise INTERSPAR eCommerce processes. For this, all dimensions and steps of the customer purchase journey were analysed in detail: From entering a search term, product details/descriptions, checkout process, to delivery and the first use of the product, and where needed complaint and return delivery processes. Raiffeisenlandesbank Niederösterreich / Wien`s leadership barometer had to be migrated to a new technological platform (see also Case Study CX/Research Infrastruktur). Additionally the survey had to be functionally extended, e.g. self-adminitration of the leadership barometer survey. Drei Hutchinson tasked us - as part of the launch of a new accessories shop called Dreiland - to elaborate a target group specific and sales driven Video Content strategy. Goal was to trigger a sales decision on Dreiland.at. We produced the videos which are now featured on Dreiland.at and its Youtube channel. We had the privilege to support the global leader in surveying technology with their digital brand communication strategy. Because of organisational changes the project had to be paused. For years we've had the pleasure to consult on digital agendas for SOS Kinderdorf Österreich. Since 2016 we're also involved in operative campaign planning and monitoring. In the course of our survey, new customers documented all their experiences with the brand Vodafone as well as with Vodafone's services, processes, and products. With the use of our tailored research setting we were able to achieve all project goals. E.g. identification of customer experiences with NPS-impact (moments of impact) or the collection of concrete optimisation approaches. In accordance with their digital marketing strategy, Wacker Chemie are redesigning the technical-functional foundation of how their complex product data is displayed. As part of this process we're responsible i.a. for the design of the functional PIM concept, of course in consideration of (internal and external) user needs.